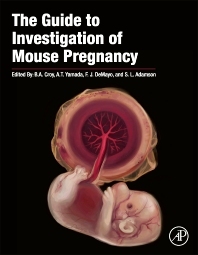 This book is intended for basic scientists and clinical investigators researching reproduction, immunology, developmental biology, cardiology, gynecology, animal care, and veterinary medicine; graduate students; postdocs; veterinary technologists; and laboratory technologists. Imprinting in the Placenta: A Special Role? What is the Role of Epigenetics in Stress-Induced and Other Placental Gene Expression? To What Extent is Murine Placental Gene Expression Altered during the Course of Gestation? To What Extent is Placental Gene Expression Altered by Maternal Protein/Caloric Deprivation? What are the Correlates of Dietary Deprivation in Placentas of Other Mammals? To What Extent is Placental Gene Expression Altered by Maternal Caloric Excess? To What Extent is Placental Gene Expression Altered by Maternal Hypoxia? What are the Correlates in the Human Placenta? What are the Overall Perspectives and Critical Questions to Explore? Developmental Biology, Baylor College of Medicine,TX, U.S.A.